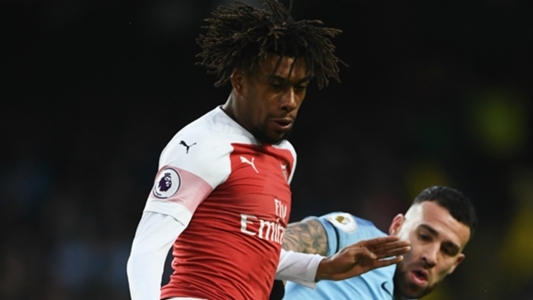 Arsenal legend Tony Adams has faulted Unai Emery’s decision to start Nigeria forward Alex Iwobi in Sunday’s clash against Manchester City,. Emery deployed a 3-4-3 formation against reigning champions, Manchester City with Iwobiplaying on the right side of a three-man attack which had Pierre Emerick Aubamenyang and Alexandre Lacazette. Iwobi was dispossessed of the ball in the opening minute of the game which led to Manchester City’s first goal which Sergio Aguero scored from. The Argentine went on to bag a hat-trick as Manchester City defeated Arsenal 3-1 at the Etihad stadium to move two points withing Liverpool who play West Ham on Monday.